That was until the 5th hole, where Leroy’s paid golf assassin tried to kill Matt with a spearing low slice drive. It would have hit him smack in the temple if it wasn’t for Cravo calling out “Look out!”. Although he laughed it off, the fright and massive purpling bruise on his shoulder put Matt off his game, and he went on to end his charge in the dam on the 9th and miss the Final by a point. That was the beginning of the end for Matt on the Tour really, and he has not been sighted for years. No doubt becoming a Dad he realised that it wasn’t worth dying on the golf course if the Gentlemen’s Tour was really going to be that cut-throat. Since this incident the Committee have specifically banned golf assassins from Major tournaments. Although I’m pretty sure Matt Crawf or Dr Gary almost killed someone on the 7th at Tasmania one day too! 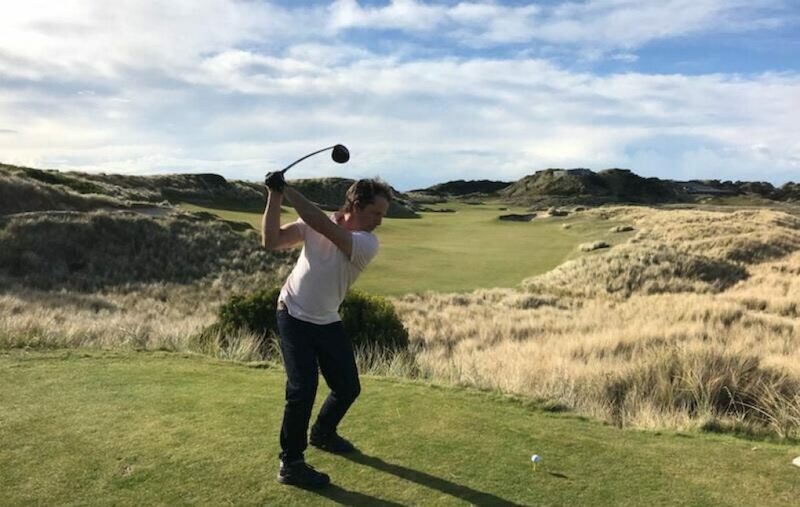 Posted on August 12, 2016 February 15, 2017 by Gentlepersons' World Golf Tour, Tasmania	This entry was posted in golf and tagged golf, kingston beach golf club, matchplay, tasmania. Bookmark the permalink. ← Matchplay Masters 2014 – Felix v Bas – the Aurora Curse continues!